The following report has been contributed by MAJ(P) Scott Cole of the 9th Mission Support Command, US Army Reserve. Photographs by Brian Melanephy. In 2007 I was forced into wargaming. I was forced kicking and screaming—well, probably more whining and complaining than actual screaming—but forced nonetheless. I am an IT guy by trade, and my proclivity for all things computer extended into my leisure pursuits. I built my own servers, computers and network architecture. Others obsessed over fast cars; my obsession was with fast CPUs and data buses. Nearly the whole of my free time was spent immersed in PC games. Sadly (or perhaps happily), my digital bliss was ended by a training accident that would see my right elbow surgically rebuilt. My right elbow! My mouse hand! It was like a gunfighter having his trigger finger amputated. Yeah, okay, it was really like a computer geek who could no longer spend more than twenty minutes using a mouse without being in excruciating pain, but let me romanticize it a little. It sounds more dramatic and will make my life story more likely to be picked up for development into a major motion picture (with me played by Brad Pitt, of course). With my trigger finger gone, the long, blissful excursions into my own private digital Idaho were over. After suffering through a painful day gripping the mouse at work, the pain associated with computer games was no longer worth the cost. I needed to find something else. Happily, I almost immediately stumbled on some folks at work who played wargames. They invited me. I played. I was captivated. An addiction that still plagues me today ensued. Well, certainly not an addiction…. I can quit anytime I choose. No, really I can. Stop it. . .you sound like my wife. One thing that I realized about wargames, straight-away, is the great potential they have for use in training, especially at the operational and tactical levels. 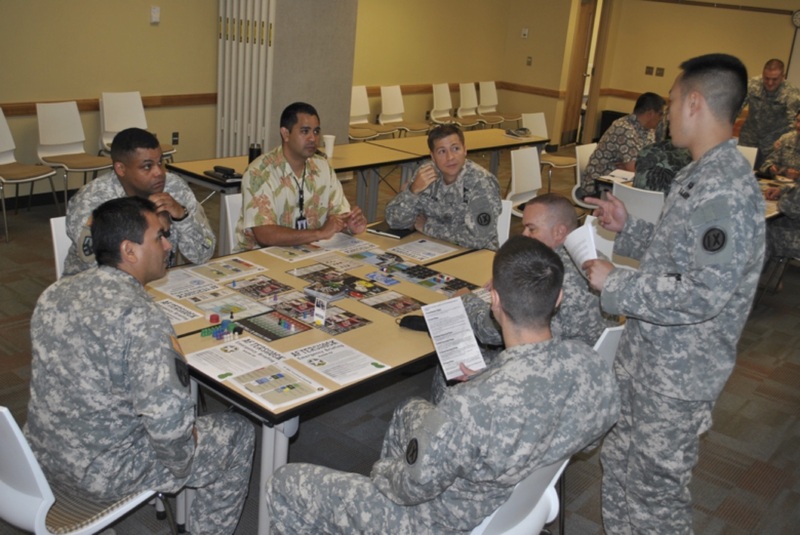 At the time, I was assigned to a training brigade that focused on battalion and brigade staff training—mostly digital simulations, but we also taught MDMP. 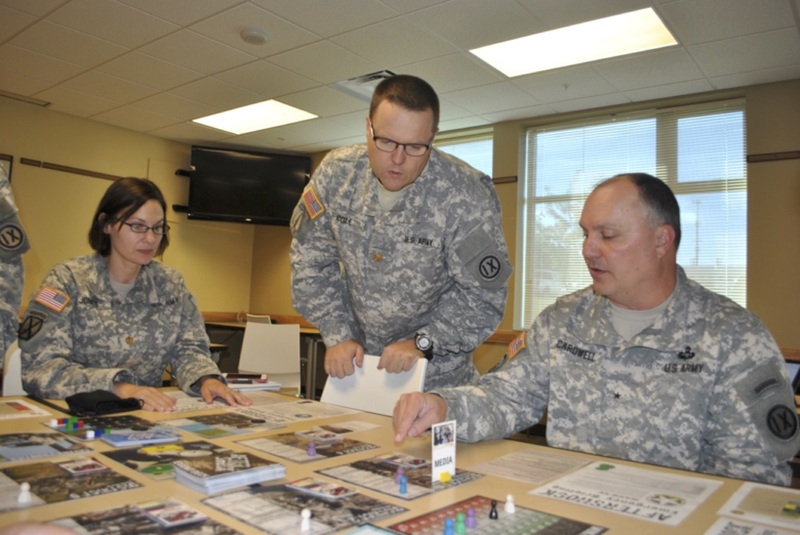 I attempted to get buy-in from the senior officers to try to modify commercial wargames for use in the wargaming step of the MDMP process. Unfortunately, they saw manual wargames as an outmoded vehicle and dismissed the suggestion out of hand. I tried again over my next several assignments and met with similar results. I resigned myself to the fact that digital simulations ruled the Army training environment, and anything utilizing cardboard and paper maps would be seen as archaic and of no training value. In February of this year, I read the Deputy Secretary of Defense’s memo on reinvigorating wargaming throughout the Department of Defense. I was thrilled…ecstatic…dare I say, reinvigorated? I began searching for ways to get wargames incorporated into training in my current unit. I was pointed to Rex Brynen’s PAXsims blog (thank you Volko Ruhnke!) and found AFTERSHOCK. I’m currently assigned to the 9th Mission Support Command, at Ft. Shafter, Hawaii. The 9th MSC is a unique command, as it is the most ethnically diverse, geographically dispersed command in the U.S. Army Reserve, crossing seven times zones, two states, two territories, a commonwealth and two foreign countries. What makes the HADR mission so important to those Reservists assigned to the 9th MSC is that the places in the Pacific that have extreme weather events that require a HADR response are the places many of these soldiers call home. We have a professional and personal stake in being ready to respond and do our jobs well. Training the force on HADR response is a challenge. I briefed our Chief of Staff on AFTERSHOCK and quickly sold him on its training value, since neither of us had seen any HADR-specific training products. I got in contact with Rex and got the game ordered. In June, I ran AFTERSHOCK for our Commanding General and Staff. I was very keen to see the players’ initial response as they entered the room, since the initiation was sent out as a HADR training exercise with no specific details about the training; only the command group knew that it involved a simulation game. My staff and I had set up the games prior to the participants’ arrival, so when they entered they saw the games set up on the tables. 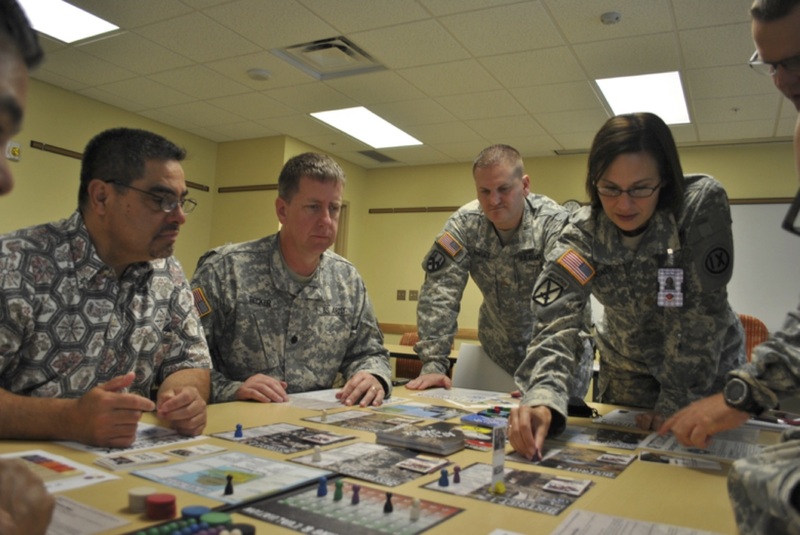 These comments are significant, as they reflect the ubiquitous attitude toward tabletop games among Army officers. Had I lain down a topographical map, acetate, and grease pencils then told them we were going to practice map symbology, they would have grumbled, but considered it standard training….because that how Army training always used to be. 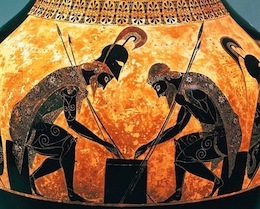 Senior leader buy-in: If the boss is present, participates and advocates the training value of the game, it adds immensely to the reception from the rest of the command. The game needs to be immediately relevant to the subject being trained, and the game needs to be good. Good means exactly the same as what a hobby wargamer expects from a commercially produced product: smooth mechanics, accurate depiction of the subject and loads of meaningful and interesting decisions. I split our trainees into two teams, one consisting of field grade officers (Major to Colonel) and higher (General Officers); the other was comprised of Captains and junior Majors. My initial belief was that the more junior table would catch on quicker and be more involved in the game, as we often see in the digital training arena. I was absolutely incorrect. The senior table took to the game immediately, absorbed the mechanics and was deep into developing an overall strategy by turn two. The more junior table stumbled about and didn’t formulate an ordered plan until around turn four. One of AFTERSHOCK’s most effective aspects is its ability to mimic the chaos and uncertainty found during the initial response in a HADR mission. Having the teams get a brief overview of the rules, then tossing them into a moderator-assisted first two turns very successfully creates a sense of confusion, causes hesitance and slightly overwhelms the players, as they cannot fully get their heads around what needs to be done first. As with a real operation, once they get a grasp of the situation and the processes and procedures needed to meet the mission demands, they can start strategizing and better react to the disaster. Without that initial perplexity, I imagine it would be much easier to succeed in AFTERSHOCK, although I do see great value in allowing the teams to play a second time to reinforce their successes and avoid their previous mistakes. I recommend you do not let your players have any knowledge of the game prior to running it. Dealing with the initial confusion has great training value. Both teams ended up with a win, although the junior group didn’t secure it until late in the game. The competitiveness that arose between the teams was excellent and added very much to the atmosphere in the room. I highly suggest that you foment an atmosphere of competition when you run AFTERSHOCK. Overall, the teams found the game interesting, fun and most importantly, that it holds significant training value. Prior to us running AFTERSHOCK, Rex Brynen was kind enough to spend a couple of hours with us on Skype to give us some pointers on successfully facilitating a game. Besides giving us all the game play overview and points on running the game, he would interject some of the anecdotes behind the creation of the cards. The Celebrity Visitor event card, for example, was based upon the real life visit of John Travolta during the 2010 Haiti earthquake. He and the Church of Scientology had loaded up his personal Boeing 707 and he flew it into Haiti to bring bags full of donated supplies. While the media swarmed him and he toured the disaster areas, the supplies had to be unloaded by human chain, then sorted and stored. While all of this was going on his plane sat and took up one of only scarce parking spots at the airport, thereby reducing the airport capacity and slowing the delivery of palletized, military relief flights. That story and the few others we imparted to the players were amazingly effective. They showed how all of the events in the game had actually happened and gave the AFTERSHOCK substantial credibility once players saw how it had been designed using real world events. One of the most frequent feedbacks we received from players was that the history of the event cards really added to the experience and it would be great if every card had the history behind it either printed on the card, as flavor text, or in an appendix that could be read when each event came up. AFTERSHOCK is an excellent training tool. It focuses players on the criticality of coordination and logistics during a HADR event, and does very well in simulating the initial chaos of a disaster. Our training was a resounding success and our Commanding General has directed me to use the game throughout the 9th MSC to ensure all units involved with our HADR mission get the opportunity to run through it. I don’t know that I can say I’m happy about injuring my elbow all those years ago, but I can say that I am very glad it has led me to a most excellent, multi-faceted hobby which has direct and effective application in my chosen profession.